When it comes to creating big, beautiful eyes with ultra long lashes, then two products go hand in hand. Some women just reach for a tube of mascara and then proceed with their makeup routine, skipping the essential first step in the process. The eyelash curler plays a prominent role that is worth the few extra seconds in your daily beauty regimen. The proper eyelash curler will open up the eyes, allowing for a wide-eyed look and “raising” up even the tiniest lashes in the corners of the eye. Lashes will appear fuller, curved upward and let mascara look its optimum best. In addition, the cost for this key beauty tool is rather inexpensive and lasts a long time. Uncurled eyelashes appear straight out; some lashes dip downward and hide the attractive shape of the eye. Even applying layers of mascara will not do you any favors on uncurled lashes. Maybe you want to buy an eyelash curler but are unsure about the features to look for. We can help you. We’ve done the beauty research, seen what some of the professional makeup artists use, the curlers most women prefer and found the 10 best eyelash curlers to help make your decision simple. Laura Mercier is a French makeup artist whose beautiful work has graced the covers of major magazines like Vogue. Her brand of cosmetics is trusted and worn around the world, and her beauty tools have become just as coveted. 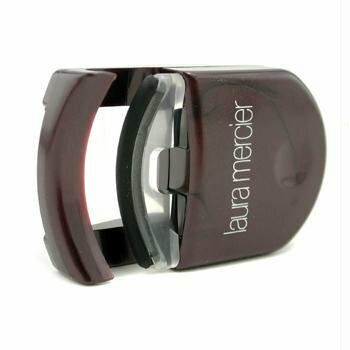 Mercier designed the pinch-free eyelash curler that bears her name. It’s a makeup tool that keeps winning rave reviews. It creates long lashes and gives the eyes an alert, rested look with just a few gentle squeezes. The “no handles” eyelash curler features an easel-style lever that comes down and positions lashes onto the curler, locking them into place as you squeeze down. It’s a no-metal curler than never pulls or creates any crimping. It comes with one replacement pad. The company is proud to claim that their eyelash curler is a cult favorite and perhaps the best selling of its kind across the world. 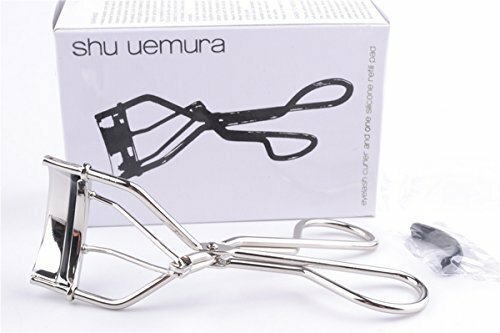 Shu Uemura says it’s all in the careful construction of its classic metal eyelash curler that features a special curved angle, universally suited to all eye shapes, no matter the size or width. The brand has made some key refinements to their eyelash curler in an upgraded silicone pad in a new “mushroom” shape that’s comfortable and provides a safe curl. Shu Uemura also upgraded their patented hinge for uber pressure in creating curled lashes that last and last. The handles offer superb control for the user. Stubborn, straight lashes, short ones and wild ones, this eyelash curler tames them into shape. Sometimes, drugstore finds are amazing, and this famous brand does the job with ease, success and at a heck of an inexpensive price. Pairing the Maybelline Expert Tools eyelash curler with their iconic Great Lash mascara is a win-win because both deliver big, gorgeous lashes. The eyelash curler is in classic metal form that never pinches the lashes, and its construction allows you to get as close to the lash line as you can for perfectly curved fringe. Maybelline offers a comfy rubber pad for lashes to sit on. This is a basic eyelash curler without all the fancy bells and whistles; and it works like a dream. Tweezerman is another fine name in drugstore beauty tool brands that keeps you in budget and still performs like a pro. Their Super Curl is dependable and functions with precision, thanks to the design of its extra large curling surface. That ensures even curling and inclusion of all lashes, even those hard to reach at the inner corners of the eye. The Super Curl features a special silicone pad that never sticks to delicate lashes, and when you buy one curler, you receive an extra, long lasting refill pad. Tweezerman offers this cool beauty tip: The Super Curl can be gently heated with a blow dryer to create an amazing super curl. Another inexpensive eyelash curler to consider is the TOOGOO with its mini size and electric heated capacity. That’s right; it comes with a temperature-sensitive silicone pad that is micro-chip controlled. Just two AAA batteries, and you’re good to go. 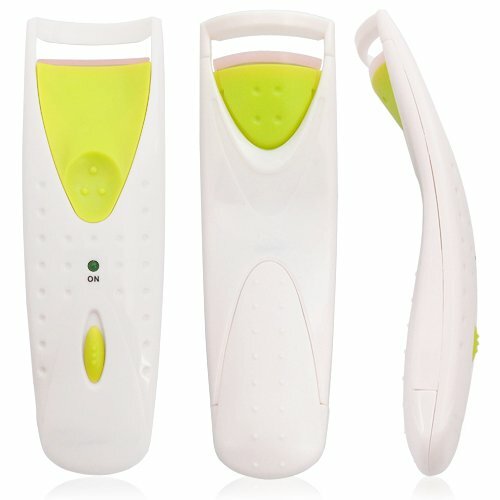 This heated eyelash curler is always gentle and kind to your lashes and is ready in a few minutes. In fact, the silicone pad will change color when it is ready to use, and in 15 seconds, your lashes will look longer and ideally curled. All you do is place your lashes in between the silicone pad and clamp. Sadly, the world lost the famous professional makeup artist too soon, but the fine name of Kevyn Aucoin lives on in makeup and beauty tools. One of the cult faves is his eyelash curler, one that other celebrity artists carry in their makeup bags. 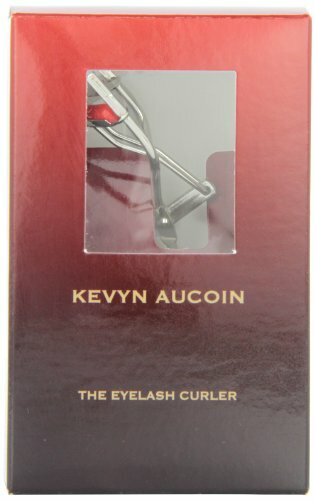 The Aucoin eyelash curler is made of stainless steel for a firm grip and comes with its signature red silicone pad. The women who stand by the brand claim it delivers in every way, grabbing each lash from root to tip with every curl. It’s a must have for one’s beauty repertoire and a long lasting product. The eyelash curler construction offers a wider base to accommodate various eye shapes and widths, and the pads are thicker, wider and softer. Who needs to put on false lashes when you can build your own with this regal-looking eyelash curler? 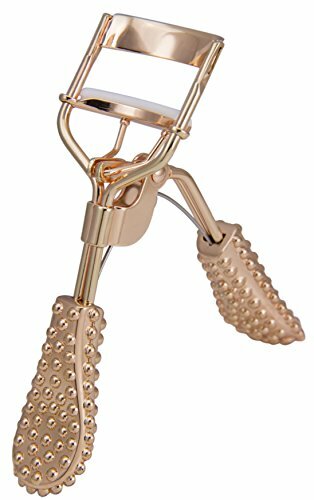 The Maketop Rose Gold eyelash curler is designed to last, thanks to its iron, electroplate features and wonderful and comfortably thick grip handles. The brand guarantees long, lush lashes because of its genius wide curved opening. This means the eyelash curler provides a comfortable fit for your unique eye shape and captures each lash every single time. Plus, the eyelash curler is rose gold. Need we say more? When it comes to pinching and pulling lashes, no one desires that kind of outcome, but it happens more than you think. Bella & Bear has designed something that works really well and delivers long doll lashes with a couple of quick squeezes. Their eyelash curler is made of sturdy stainless steel with the perfect revolutionary spring function for easy clamping and even curling. The eyelash curler even comes with an adorable printed travel bag to ensure proper storage. 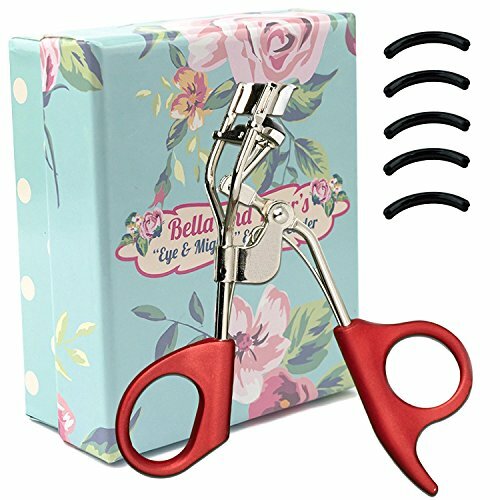 For those who use the Bella & Bear eyelash curler, the special construction is ideal for small, large, round, Asian eyes and for all eye shapes. The non-slip rubber handles and refill pad are all welcome features. The Shiseido brand is another well-respected beauty name in the business, and their eyelash curler is iconic. Asian women, especially, love the Shiseido because often times, Asian lashes are stubbornly straight and refuse to curl. 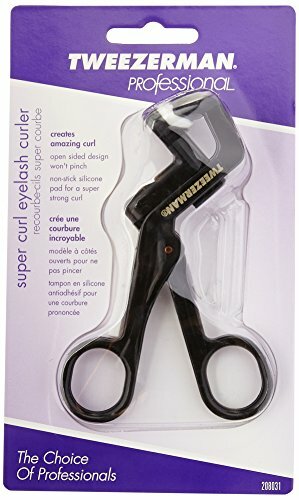 This eyelash curler, however, curls any type of lashes on any kind of eye shape, thanks to its medium curve which has been carefully crafted to deliver fab results. Those who swear by it, say the Shiseido eyelash curler gives superb lift and curl to even stubby lashes and is worth the small splurge. The flexible silicon rubber pads are comfortable and gentle to lashes. 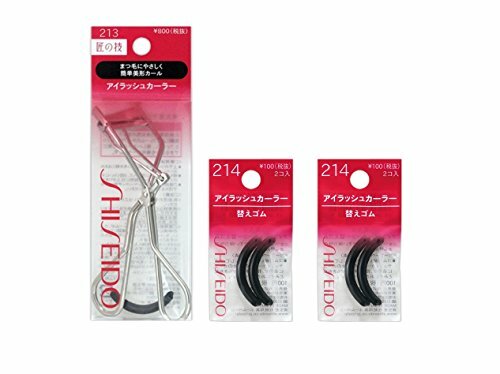 Shiseido advises wiping the eyelash curler clean with tissue or dry cloth after each use. 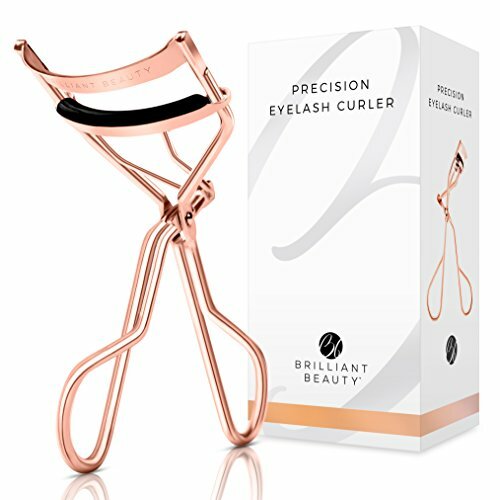 An ergonomic body and longer curl surface are two reasons why the Brilliant Beauty is a superb choice in eyelash curlers. Add the surgical-grade stainless steel base, and this one’s a winner. Brilliant Beauty results in long, full dramatic lashes every time and in mere seconds. The exceptionally-designed calibrated hinge does all the work, ensuring even pressure for perfect lashes. Brilliant Beauty is so special, it bears a patented design and has won two buyer’s choice awards.